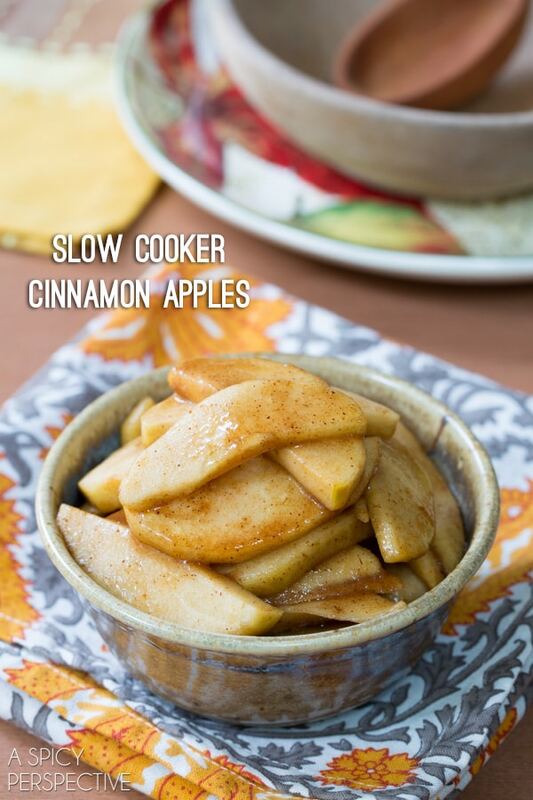 Easy Slow Cooker Cinnamon Apples that taste amazing as a southern side dish, or as a topping for oatmeal, pancakes or ice cream! When I think of fall, I think of apples. And when I think of apples, I think of apple pies, apple sauce, apples and creamy caramel, and of course cinnamon apples! So of course fall is my favorite season. 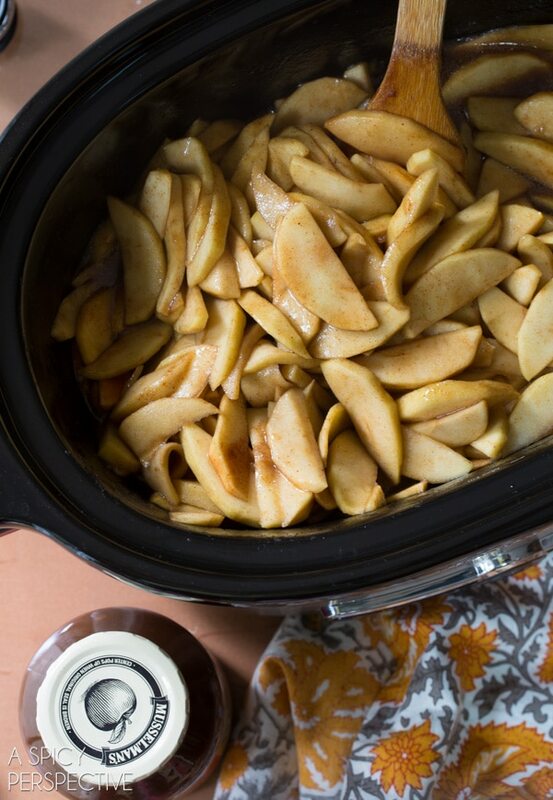 I’ve made cinnamon apples many times over the years, and I’ve discovered that cooking them in a slow cooker is not only the easiest way to cook them, it develops the best flavor. 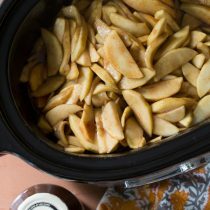 Slow Cooker Cinnamon Apples have a rich flavor and an ultra silky texture, from cooking low and slow over several hours. 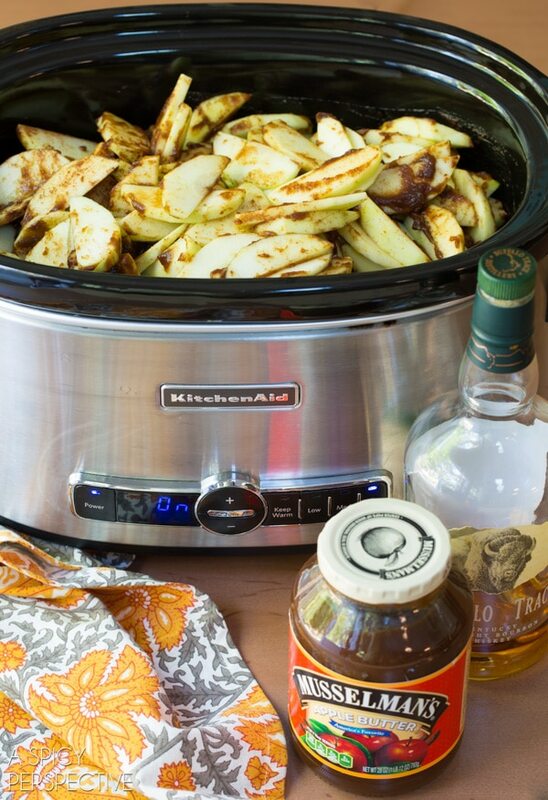 Yep, a little Musselman’s Apple Butter and a nip of bourbon provide depth and complexity to cinnamon apples. The rich dark apple essence of Musselman’s Apple Butter intensifies the natural flavor of the apples, bringing out the very best of their autumn appeal! 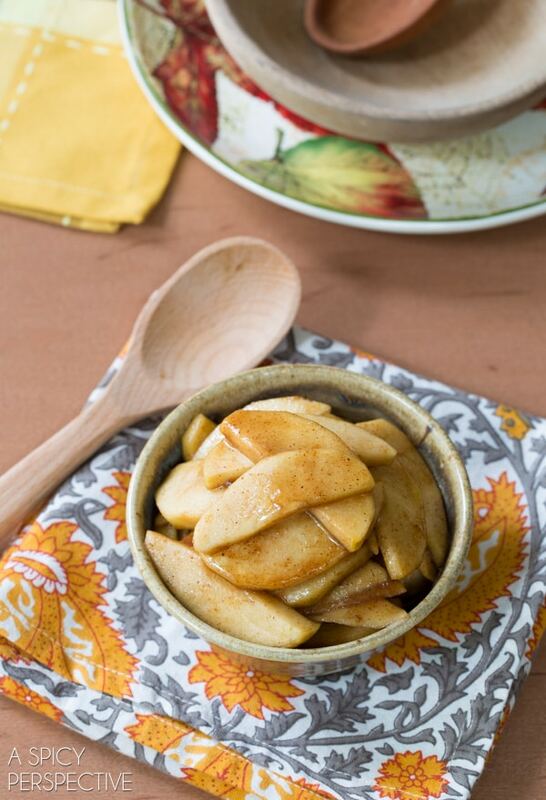 Slow Cooker Cinnamon Apples are a must-make recipe this fall, and Musselman’s Apple Butter, plus a bit of bourbon, make them even better. Make a large crockpot full, so you can use them for days and days! Stir again and serve as a side dish or topping.